Hello guys! I´m looking for some good looking Volk CE28 , Volk TE37 and Ekei RPF1 rims with 15 - 16 options . # Nightrunner : Hello guys! I´m looking for some good looking Volk CE28 , Volk TE37 and Ekei RPF1 rims with 15 - 16 options . Oooooofff , Thank you so much ! Is there any trailer mod or something to make towing rp cooler? # Nightrunner : Oooooofff , Thank you so much ! # snn475san : Is there any trailer mod or something to make towing rp cooler? # snn475san : Thank you boi! also is there somewhere volk ze40 mod that have 15 - 16´´ option please? thanks . # Nightrunner : also is there somewhere volk ze40 mod that have 15 - 16´´ option please? thanks . doubt it. haven't seen any 3d models of it either. Anyone got the r33 gts-t from Nitrous? Occupation: The Noob of tthe group. Dose anyone have Sparky's editor for SLRR Version 3.2.1 Steam releases, i don't need a link for the one on Steam i just need the zip with the actual editor in it as my PC just broke and i can't direct DL it too my external. # rook : Dose anyone have Sparky's editor for SLRR Version 3.2.1 Steam releases, i don't need a link for the one on Steam i just need the zip with the actual editor in it as my PC just broke and i can't direct DL it too my external. # theblockishot : Anyone got the r33 gts-t from Nitrous? ok so i did try it and it did kinda work but the problem im having now is, i can see my modded motors in the edit block section but when i check them off and start the game none of my motors show up and or are usable, however i am able to use the other in game motors. # rook : ok so i did try it and it did kinda work but the problem im having now is, i can see my modded motors in the edit block section but when i check them off and start the game none of my motors show up and or are usable, however i am able to use the other in game motors. It's because you need to do the opposite m8 . In SLRR Editor, click any car you want in the list, then "click edit engine blocks" and "check ON the engine squares" instead of check them OFF, this is why you can't use any of your engine mods in any of your car mods. yea i did check the box's, iv'e used the editor before but idk whats going on, i can see the motors in the engine kits but i can't build them. 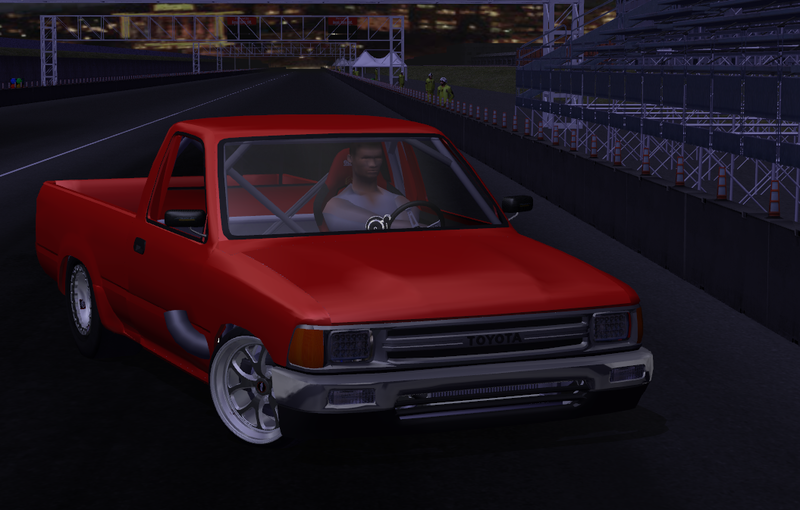 side note dose anyone have a link for the 1990 chevy silverado/GMC pick up, i can't find it in the DL section anymore. Hello guys , i´m looking for EF civic mod . # Nightrunner : Hello guys , i´m looking for EF civic mod . check the Download section there's one somewhere in there but i think its a ways's back, try about page 5 or 6 and work your way back. # rook : yea i did check the box's, iv'e used the editor before but idk whats going on, i can see the motors in the engine kits but i can't build them. # Nightrunner : thanks ! hey thanks btw i got that version of slrr to work way better then the one i was using. # rook : hey thanks btw i got that version of slrr to work way better then the one i was using. Can any one link me to the bots for dodges house? Does anyone have a version of Kanagawa without these barriers?Or is there any mod that interfered with it? Hello guys , i´m looking for some good looking R32 wheel mod that fits BB´s tyre packs . Ok so , the EP3 civic mod keeps crashing my game , is there a newer one please or some different mod ? # Nightrunner : Ok so , the EP3 civic mod keeps crashing my game , is there a newer one please or some different mod ? No, it's the only Honda Civic EP3 i found. # Nightrunner : Hello guys , i´m looking for some good looking R32 wheel mod that fits BB´s tyre packs .